Think you know all about HP printers? For as long as it's been making colour inkjet printers HP has stuck to tri-colour cartridges. The good thing about them is that you get a new print head with each cartridge change, theoretically prolonging the life of the printer; the drawback is the high running costs. The new Photosmart 8250 breaks with HP's tradition by offering a single ink system, with replaceable ink tanks for each of the six colours. Even though the 8250 uses the same Vivera inks as other new HP printers, the running costs work out to be the cheapest on the market. In our tests, borderless A4 prints averaged at just over £1 in ink, beating anything from Canon, Epson or Lexmark. 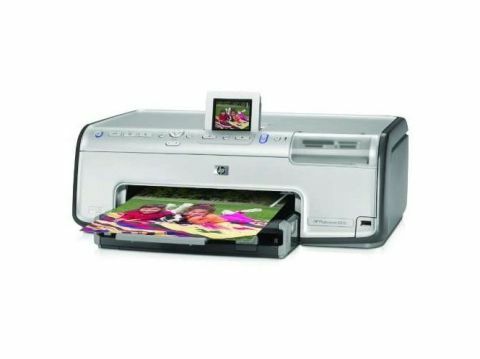 Unusually, the 8250 gives good solid black performance for a dedicated six-ink A4 photo printer, making it great for document printing too. For photo use, the 4,800x1,200dpi print engine offers sharp prints, with speeds of just over three minutes for a full A4 photo, and 90 seconds for a 10x15cm print.